Josie Lieber's chalked spot featuring a seagull from "Finding Nemo"
It’s senior year for many students at SDA and as always, they rushed to campus before school started, to make sure they reserved and chalked their ‘parking’ spot for the upcoming year. The day has been a tradition many underclassmen have looked forward to throughout high school and now the class of ‘18 finally got to take part in it. While a great tradition, it has also brought problems this early in the school year., Some students obsession with their marked spots have gone a little far in some cases. 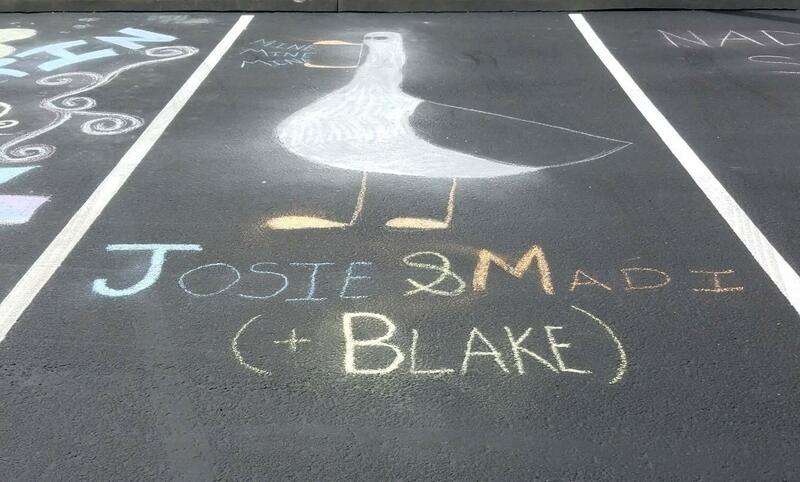 This summer a student came to school for a sports practice and parked in a chalked spot. She never thought it would be a problem since it was the day before school started; however this didn’t seem to be the case. Another student immediately sent a picture of the car to the spot’s ‘owner’. The owner went on to threaten to key their car.